Oflate, I’m witnessing many unhealthy trends in marriage. While some are trying to live in uncomfortable zones in a marriage, i,e brushing the issues under the carpet, many others are calling it quits! Three of my close family friends’ marriage is on the rocks. 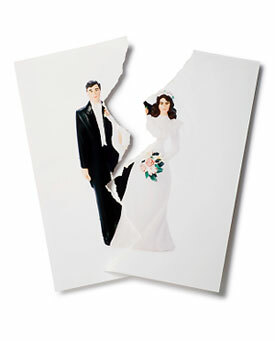 One couple is living separately from the past two years and is contemplating divorce and the other two have fresh scars of separation. people in our lives that the one person that matters the most in our lives takes the brunt of it all in form of your neglect! grappling with this issue–they have too many things on their plates, more than they can chew comfortably. It is well known that the path to a relationship breakdown is littered with small choices that lead relentlessly away from commitment and partnership towards a different priority or interest. It is the accumulation of these seemingly insignificant choices that draw a person way off course until they suddenly wake up to what is going on, and wonder how they got to where they now find themselves. So, take heed when things are still under control. It becomes primary that the husband and wife maintain a healthy channel of communication between them. Thumb rule that a good communication system exists between the husband and the wife is when the husband feels he is rightly understood by the wife and the wife feels she is rightly understood and cared for by the husband. But, as time passes and as life gets busier loaded with increased responsibilities for both husband and the wife, the channel of communication becomes weaker and weaker, because of which there might creep in a certain level of dissatisfaction in either or both the parties. When this development is not arrested by taking time to hear each other out, the dissatisfaction keeps piling up, which keeps eroding all previous good credits & when the balance goes negative, such piled up dissatisfaction erupts in the mode of bitter fights whenever one is confronted with a difference of opinion. Off course, when two people come together, there is bound to be difference of opinion. That is not the problem, but how you deal with the differences is all about a healthy or an unhealthy relationship. When differences lead one to bitter fights and hurts are kept locked inside the heart, that is when a relationship can be termed as unhealthy. If you are reading this, please examine your own life pattern. Is your spouse happy with the quality of time you spend with him/her? Have you established a healthy channel of communication with him/her? Do either of you feel unloved or uncared for by your spouse? Is there any kind of bitterness expressed by your spouse towards you or by you towards your spouse? Are there accumulated hurts & resentments locked up within you? If the answer to any of the above question is yes, then you have eroded lines of communication between the two of you and the onus is on you to rectify it by re-establishing the cords of healthy communication between you. The primary duty of the householder in Grihasta Ashram is to fulfill all the needs of his wife and children. Similarly, the primary duty of a wife is to serve her husband and follow in his footsteps & bring up children in a loving atmosphere. It is said that in such a grihasta’s house, Goddess of Fortune, Laxmi, herself resides and the house becomes vaikuntha or abode of Lord Vishnu. Please note carefully that we cannot aspire for Higher Worlds or make spiritual progress if we are achievers outside but are failing in our primary duty in the Grihasta Ashram. How seriously then must we take up the matters of rectifying the mistakes in our household life! It is a challenging task to build right channels of communication when you are carrying bitter hurts & deep scars from the relationship because your deep need to be understood rightly has not been fulfilled. But there is hope, there is hope if you are willing to give up your ‘victim’ stance and allow healing measures to be brought into the relationship. Healing happens automatically when good communication is reestablished. The most important thing you have to do if you feel you are the ‘victim’ in your relationship is to release those emotions that you’ve bottled up and start expressing what is in your mind! express himself or herself much to his/her spouse. Whatever the reason is, if you are not able to express yourself or state clearly what is in your mind & keep it concealed from your spouse, two things happen–one is frustration sets in you. The more you ‘do not express,’ the more ‘hurt’ you accumulate, to the point that you finally have to explode one day & you begin to express yourself in a heavily negative manner i,e in an accusatory/blaming manner. The other is that your spouse remains clueless about what is going on in your mind & does not know how to react to your bitterness and at best, harsh words are exchanged leaving you more ‘hurt’ and more ‘dissatisfied’ in the relationship. Therefore, for a healthy relationship, it is of utmost importance that both the parties must learn to express their mind & heart and in doing so must clarify their individual ‘needs’ to each other, in the right (positive) manner so that the other person is able to understand you and do the needful & that you start feeling fulfilled in your relationship. Remember, in a marriage, both have equal right to say, ‘I dont agree’ and save long term consequence of bottled up frustrations, but it must be said in a manner that does not hurt the other person. If you think you cannot express your mind to your spouse without being sharp, critical or angry i,e without a negative undertone, then it is best to begin by writing down your thoughts and feelings. Writing down your thoughts will give you enough time to modulate your emotions i,e edit what is negative & put forth your point in a more positive tone so that your spouse is able to understand, appreciate & take further steps to rectify the situation. You can also ensure that your point is heard completely by your spouse. Listening to your spouse is an art that many of us fail at. By listening carefully & without any biases to your spouse’s point of view or to his/her feelings/ramblings of the day, you show that you care & your spouse feels understood by you. Listening is an art because when you listen you have to be non-judgmental! Believe me, its a challenge to not throw in our opinion or solution when another person is speaking…try it! However, listening to your spouse is the only way to let him/her know that you understand! So, imagine the damage you are causing to the relationship every time you are preoccupied with some other thought/task when your spouse is speaking or have a bored/tired expression or dismiss what he/she has to say without giving it much thought! While we are learning to express ourselves more positively, it is also equally important to be repentant for all the negativity that was caused by you, harsh words that you have hurled at him/her or for your careless attitude. This step goes ahead of all the other steps as nothing disarms the other & opens him/her to you than a well timed genuine apology. Reestablishing a loving relationship with your spouse must be your top most priority. Nobody else will do it for you and it won’t be easy at all. But if you stay determined & give your sincere best, the Lord who is in the heart of everyone will enable it. Remember to always keep the communication lines open between the two of you and resolve your past hurts in good times by forgiving small & big hurts and taking stock of your own feelings every now and then. However, if you or your spouse are unable to resolve your differences on your own, seek help from a neutral person who is an expert at solving relationship problems. Eg: a marriage counsellor. The counsellor will help you air out your grievances in a healthy manner, help re-build the cords of communication & both of you will discover a new meaningful life of togetherness! In this context, Radhanath Swami has beautifully summarized in one of his lectures that the focus, the centre of your relationship should be to create a favorable environment to lead spiritual lives. In order to do so, there has to be a spirit of service between the two of you. That service should be offered with affection and care. And especially with tolerance. In this age, tolerance is most required, because by the nature of this age when two egos come together, there is bound to be conflict. There will be disagreements and misunderstandings, and as time goes on, certain things about each other will become disgusting and there will be great disagreements. It is inevitable. The sanctity of your marriage will be based on how you don’t take these differences very seriously. Thank you for presenting such a practical & guiding article . Very beautiful & wonderful presentation. Relationships require investments and Speaking up our mind helps rather than building up emotions just to burst out some day. Thanks for the wonderful article. Its quite practical. nice article.We should apply it in our personal life. I m deeply Impressed for the amount of effort and wisdom that would have gone in preparing such a wonderful article… all the points from communication to not taking other party for granted are so practical…the article deals with real issues of marriages and brings out such subtle damage control tips… Thank You for sharing them….! Yes it is true that due to influence of Kali Yuga marriages are breaking up even after so many years. Thank you Mrs Dhiman for dealing with this serious issue in a mature yet sensitive manner. Very insightful artice and one of the points that was enlighetning was that tolerance does not mean not to express your feelings but to express our feelings with a healthy overtone and thus satisfy the needs of each other. It is well summarized by Radhanath Swani in the end that marriage is about creating a favorable situation to progress in our spiritual life. Thanx for fantastic article. Yes, in the present age of communication, wife and husband meets more on facebook than face to face. Radhanath Swami has beautifully summarized in one of his lectures that the focus, the centre of your relationship should be to create a favorable environment to lead spiritual lives. Many nice points to be picked up from this article. Thanks for sharing it! There are no differences if you don;t take it seriously! Well summarized by the author! Beautiful principles taught by Radhanath Swami maharaj. It is the need of the hour to establish the sacred principles associated with the institution of marriage if we wish to save our society from going down the way. Radhanath Swami is doing a wonderful service in this regard by enlightening people by wisdom taken from the timeless scriptures of India. It is a sad reality as mentioned in the article… ‘mid-marriage crisis’ and such articles when implemented will surely help to save us from the ‘crisis’. Such nectarian explanations and insights are there from the various teachings of Radhanath Swami is wonderful to know. Thank you very much for sharing it. 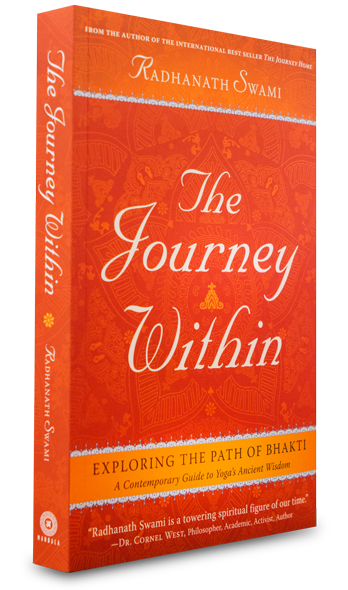 Very thoghtful and wonderful articale with practical tips, thanks to Radhanath Swami and his students for such a great work. I feel the life style and work environment which we live in, does not allow Husband and Wife to have healthy communication. No matter whatever level our economy or society develops unless we follow vernashram and simple living its not possible to spent healthy time with each other. Thank you Radhanath Swami for giving deep meaning of marriage. This article is really helpful and practical guide to every husband and wife. Thank you for this very wonderful article saying that communication is very important in building and maintaining the relationships especially in married life. Wonderfull, instead of finding faults in other if we can appreciate them then instead of breaking our realation will always thikened.